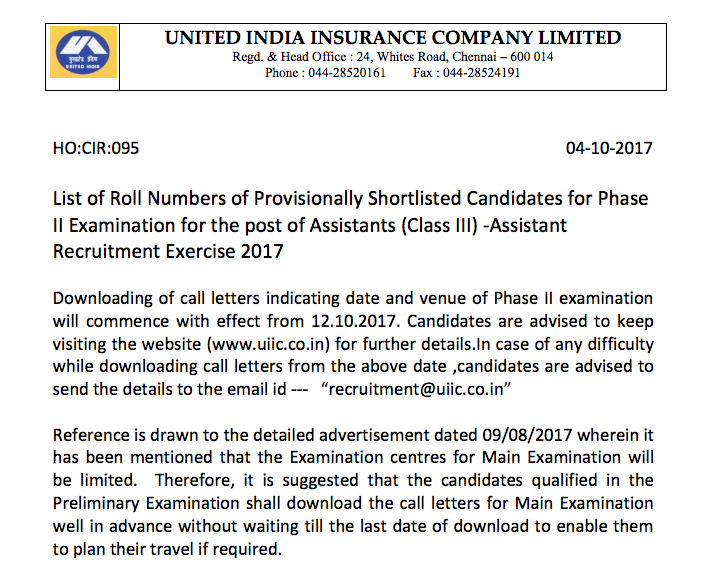 United India Insurance Company Limited (UIIC) has published the result of UIIC prelims examination 2017, which was held on 22nd of September 2017. The UIIC mains 2017 examination will be held on 23rd October 2017. you may download the list of candidates from the link provided below. Click Here to Download the list of Roll No. of Candidates selected in UIIC Prelims Exam.